Wieden + Kennedy in New York has won the creative business of America's largest beer brand, Bud Light. And owner Anheuser-Busch InBev has also tapped the agency's Amsterdam office to lead the Corona brand globally. "We've always looked at Wieden from the sidelines as an agency that one day we would potentially want to work with," Jorn Socquet, Anheuser-Busch InBev's vp of marketing in U.S., told Adweek. Bud Light and Corona's business shift comes on the heels of Wieden + Kennedy's split from another beer brand, Heineken, just a few weeks earlier. 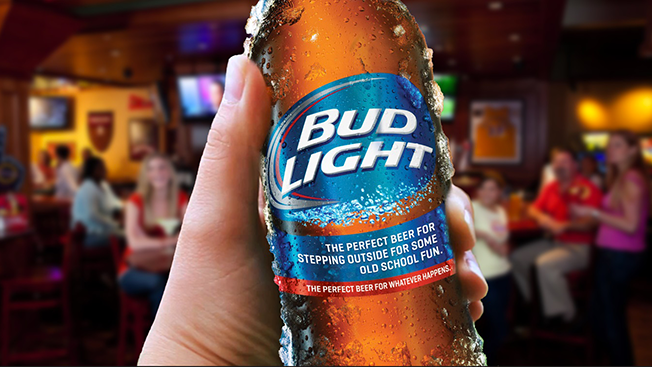 Measured media spending for Bud Light is estimated at $350 million. Wieden + Kennedy takes the reins from BBDO, which has run Bud Light's creative business since 2013, delivering two breakout Super Bowl spots for the brand. The brand is covered for its creative through the end of the year, according to Socquet, who said the first work from W+K will "probably be for Super Bowl next year." "We are extremely proud of the work we've done with BBDO," said Socquet. "But we always want to improve ourselves, and from our perspective, in order to raise the bar in the next few months and years, we believe that Wieden + Kennedy is a partner that is better suited to get us to that next level." Earlier this year, the brand did face some backlash for bottles of the Anheuser-Busch beer bearing the line, "The perfect beer for removing 'No' from your vocabulary for the night." The tag, which the brand said came from creative shop BBDO, upset quite a few consumers. But, according to Socquet, that has nothing to do with the shop's split from BBDO. "[We] shared responsibility to get there [with the tagline], but the accountability 100 percent lies with AB-Inbev, and it is absolutely not the reason why we were separating with BBDO today," said Socquet. Andrew Robertson, president and CEO of BBDO Worldwide, issued a statement: "BBDO will no longer be working on Bud Light in the U.S. We gave it our best shot, and I would like to thank all of our people who worked so energetically and diligently on this business over the past two years. We did some work we are proud of, and wish our Bud Light clients and their new agency partner well." It is too early to say if Bud Light will continue with its "Up for Whatever," campaign or its Whatever, USA festivities. "Maybe we continue with Whatever, USA, maybe we don't," said Socquet. "But in any case we will have a very hard look at it, and if it is worth doing it a third time we will bring it back. If not, we will do something even bigger and bolder than what we did with Whatever, USA." Wieden + Kennedy's agency culture also impacted Bud Light's decision to move its business. "If you look at the trust with Wieden + Kennedy, they have longstanding relationships with a lot of partners throughout the world," said Socquet. "Predominantly, of course, their flagship partnership with Nike. Those are the kinds of partnerships we want to develop, with agencies and all of those marketing partners throughout the world. We truly see this as a long-term relationship of like-minded organizations from a cultural perspective." "A-B InBev is a very unique company with a global portfolio of brands that is the envy of the beer industry," said Dave Luhr, president of Wieden + Kennedy, in a statement. "They are strong in talent and culture and high in passion and ambition. Reminds me of an agency I know. We are fortunate to be starting our relationship. Creatively and culturally, I can't think of a better partnership."